Sometimes, you have to start from the beginning! and second part, Dim Haze of Mystery and the third part Bringing Back The Broken Pieces Together before reading this part. "What do you mean, ACP? I killed my father?" Aaliyah snorted. The sudden outburst of events had already taken a toll on her. Shrikant was unperturbed. He had seen many criminals like this before. He knew this one was a gimmick as well. For him the more innocent the criminal seems to be, more suspicion he had on him or her. This one was the similar one. "Yes, that's correct but what it has to do with my father's murder?" Aaliyah was becoming hysterical. "You tell me. Your father lies dead in the room; you are relaxing in the lawn. The verse which you wrote is written on the mirror of your father's room. What all we could expect?" Shrikant was losing his temper now. "There are many writers out there writing stories, screenplays and all that stuff, you mean to say that all are criminals?" Aaliyah resented. "It's better to find the real culprit who, I am sorry to say is out there rather than wasting your time here." "You call my work as a waste of time? 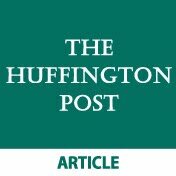 Do you know what we all are going through, what I am going through due to this case?" Shrikant bellowed. Aaliyah became more tensed. Tears started rolling down her rosy cheeks. "The answer to your question is that not all writers have corpses in their homes." Shrikant tried to stay calm this time. Two things he couldn't stand for long; one delays in his cases and two a beautiful woman crying in front of him. It doesn't matter whether that woman was a criminal or not. This woman was no less. With a pretty face in tears and willowy expressions, this woman was truly an attraction. "I am not the one you are looking for, ACP. The real culprit is roaming outside." Aaliyah hesitated as her voice almost choked her. There is something about this woman that I feel she is saying the truth. Also, I don't have anything to prove her guilty. The confidence was an attribute which held Shrikant in a fix. And she was so confident about her being not guilty. He squared his shoulders and laid back on the Sofa, trying to think. Then start again from the beginning! Shrikant remembered the time when he dug the seeds of a literature lover deep within him that once lived in his skin. Probably, now it was the time to dig him out, yet again. It would be painful for him, but this case had to be solved at any cost. He indicated Jadhav to take Ishaan along with them. 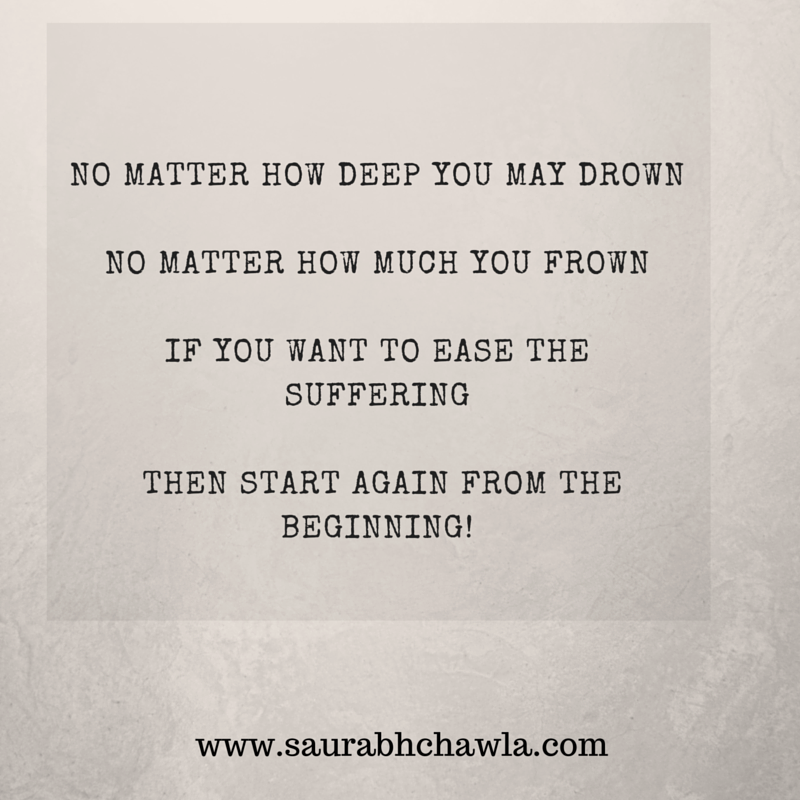 He had only one thing in mind at that time, if you want to ease the suffering, then start again from the beginning! It was time to start from scratch, again! 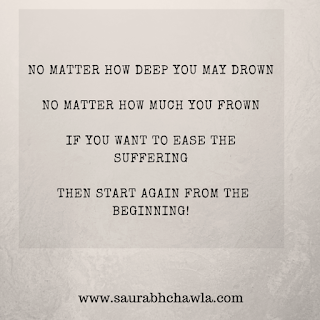 Starting afresh does help. Sometimes we miss a point which is relevant to the case. Every detail needs extra attention. I second what Saru said above. I am very detail oriented, but still sometimes feel better if i start afresh! Yes Alok! It some times brings out the missing link.